Manufacturing and Installations of Driveway gates in Roodepoort, Krugersdorp, Randfontein, Randburg and other surrounding West Rand Areas. 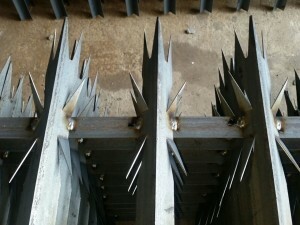 Contact us now for Driveway Gates West Rand & Randburg Areas. Wrought Iron gates, Single Swing, Bi-parting and Sliding Driveway gates.We also do the installation of intercoms and driveway automation systems. 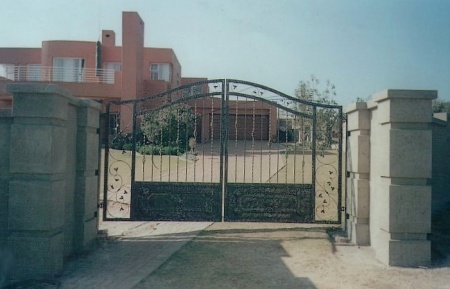 Our Steel Driveway gates are custom made according to your requirements. We know that a property & it’s appearance is a reflection of its owner so we strive to make our work as unique as possible. From simple functional driveway gates to stunning one of a kind designs. For the installation of intercoms and driveway automation systems we use the reliable Centurion systems for suburban driveway gates and EVO for industrial driveway gates. Driveway gates, Intercoms and Driveway gate automation motors. At MF Steel, we apply a primer, undercoat and top coat in a variety of colours. This gives a very long lasting and robust finish, coated in a vast range of colours to blend your gate into its environment and prevents rust and degradation. We will provide you with a choice of colours to suit your company’s brand image. We can offer great lead times as we keep all of our metal in-stock. Depending on workload - we deliver most of our products within two weeks. We will however not make a time commitment that we can’t keep. The workmanship on our driveway gates are guaranteed for 1 year. We Manufacture and Install Driveway gates West Rand, Roodepoort, Krugersdorp, Randfontein, Randburg and other surrounding West Rand Areas.